Download the attached ".zip" file and extract the ".kml" file. 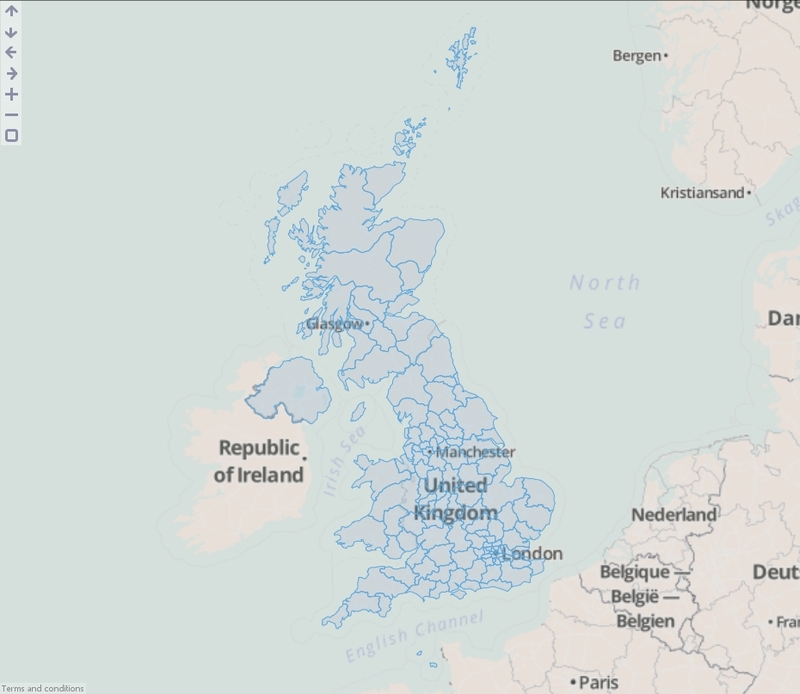 Drag the "postcode areas.kml" file onto the DataManager workspace (or drag a "Data file" block onto the workspace and browse to the "postcode areas.kml" file). "Overlay identifier" - The field which contains unique identifiers for each feature (shape) in the file. In our KML file this would be the names of the postal areas, e.g. AB for Aberdeen, SW6 for South West London. If your data does not include such a field then selecting "Create new field" will allow Omniscope to generate internal unique identifiers using a field named "Overlay ID". "Meta data fields included" - The names of all fields which will be loaded from the KML file into the block. 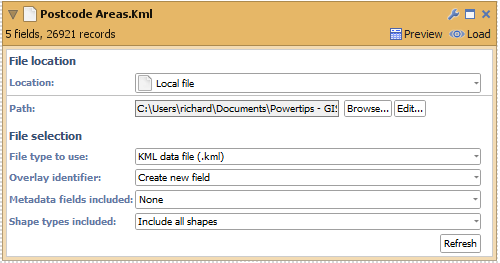 "Shape types included" - KML files can contain a combination of points, lines and areas. Use this option to filter which shape types you want to load.